Are you moving to a new house or office? Greenbox Memphis in Memphis, TN understands the hassle that cardboard boxes can be while you are packing for a move. Which is why, we offer you the ability of renting out our ‘Greenboxes,’ a convenient and sensible packing alternative. They are not just sturdy but also eco-friendly and affordable. Whether you’re moving a studio apartment, home or office, we have a plan that is sure to suit your needs. 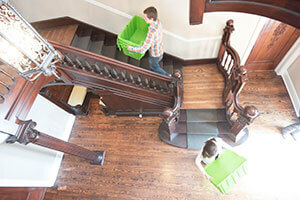 We deliver the Greenboxes right to your doorsteps and pick them back up, once you have finished moving. Are you looking for an eco-friendly packing alternative? Our Greenboxes are not just easy to use but are also recyclable. Call us today to reserve your Greenboxes today.